Please visit the Donate page if you would like to support Liberty Chick's efforts. NOTE: This is NOT the site of Liberty Chick Live. She is in no way affiliated with me or my site. As you can see, I DO support the troops. Liberty Chick is also a musician. See below for a link to some of my downloads. TROOPATHON 2013: Help #TeamCOINS in Supporting our Troops! 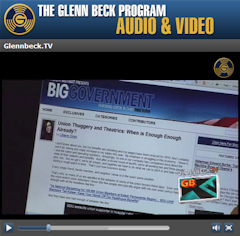 WHAT: The #DJBreitbart Project, a musical tribute to Andrew Breitbart, is an online event. 24 friends will each tweet-DJ an hour of song selections. WHEN: Begins March 11th at Midnight PST/3am EST and goes straight through until Midnight PST/3am EST on March 12th. I will be hosting the 10pm PST/1am EST time slot. WHERE: Simply go to Twitter and follow along at the #DJBreitbart hashtag. The schedule of DJs and their real-time playlists & tweets follows the introduction below, followed by my planned playlist. 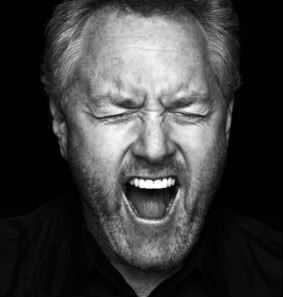 We’re all missing Andrew Breitbart since his sudden, untimely passing last week. He was my boss and my mentor, but most of all, he was my friend. Andrew was a master at Twitter. He truly grasped the importance of social media as a tool in networking, activism, mining for and disseminating information, spotting trends and at crafting and driving a story. Most of all, Andrew recognized its importance as a weapon in the arsenal of this battle of media narratives today. One of his trademark moves was to retweet all the hate directed at him – there is no better way to illustrate the intolerance of the militant left than to simply allow them to expose themselves. But Andrew wasn’t just a warrior. He was a funny, bright, interesting guy who charmed even his opponents once they met him. He was fiercely loyal and painfully human. The caricature of Andrew Breitbart created by so many on the left was nothing like the real Andrew Breitbart. It provided those who really knew him with an endless source of amusement. Every so often, for those who followed Andrew on Twitter, we were treated to Andrew Breitbart, the DJ. His love of retro and 70’s/80’s Brit Synth-Pop music was an undeniable trait of Andrew’s persona. And he’d occasionally take a break from taunting his adversaries on Twitter or retweeting hate tweets to share some of his favorite music tracks with tweeps, hash-tagging them #DJBreitbart. In keeping with that tradition, some wonderful friends have organized a tribute in Andrew’s honor this weekend: The #DJBreitbart Project. For 24 hours beginning this Sunday, March 11th, 24 bloggers & personalities will take to Twitter to spend one hour each to DJ a selection of 10 tracks, tweeting the title and link to each song and adding their own commentary. Simply go to Twitter and follow the hashtag #DJBreitbart to listen along. I’ll be spinning for the 10pm PST/1am EST hour. It’s a fitting tribute that I know Andrew himself would have loved. I suspect he’ll be up there in heaven on Sunday, retweeting every song. Thanks to @EvanPokroy for organizing this grooooovy event, and to @PruPaine, @HLawver, @texicalirose, @rdbrewer4, @rpetty, @juleslalaland and the rest of the gang. Rest easy, my friend, we’ll carry your sword. I miss you. The event begins at Midnight on March 11th, on Twitter at the #DJBreitbart hashtag . The schedule of DJs and real-time playlist and tweets is below, followed by my planned playlist for 10pm PST/1am/EST. It’s that time of year again! Enjoy some homegrown holiday music performed by Liberty Chick and old friends. All data and information provided on this site is for informational purposes only. Content on the "Posts" pages in particular contain commentary, and represent solely my opinion and not necessarily that of my employer, relatives, friends or anyone else with whom you might wish to try and take issue (in other words, please don't hate email anyone but me). Libertychick.com makes no representations as to currentness, accuracy, completeness, validity, or suitability of any information on this site and will not be liable for any errors, omissions, or delays in this information or any losses, injuries, or damages arising from its display or use. Multiple sources of public records information are consulted wherever possible to support statements made in posts, but as always, you should consult multiple sources of information yourself to make your own determination as to the accuracy of any content. This disclaimer applies not only to content authored by the blog-owner, but also to comments posted on this blog by site visitors. Every effort is made to block or remove any comments that are evidently harassing or threatening in nature, or that pose an obvious risk of causing damage or injury to another party. While I encourage open debate and challenge as much as I do positive feedback, I reserve the right to delete any comment for any reason. Any link to 3rd party content is not an indication of endorsement by either party. Of course, I am only human and may miss something in the moderation process. So if you see something that does not appear to comply with my own disclaimer, simply email me and I will willingly address it. All information on this website is provided on an as-is basis.